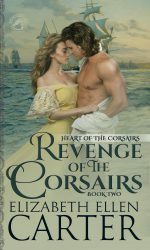 Today on First Kiss Friday I’d like to welcome back Elizabeth Ellen Carter who will be sharing an excerpt from Revenge of the Corsairs. Happy reading and enjoy! And suddenly they were just a hand’s span apart. He watched Laura take one of his hands in hers. Why had he never noticed the difference between a man’s hands and a woman’s? His fingers were long and tapered – one of things which made playing guitar easy for him, but Laura’s were more slender still. Then there was the color. His were tanned golden with the sun, but hers were like blush marble. He remained mesmerized as she placed his hand on her belly, gently pressing until his hands spread over where the baby lay. He felt a movement and let out a gasp when what felt what appeared to be a tiny foot pressed into the palm of his hand. There was a sentimental side of him – one he suspected he inherited from his own father – that wanted cry out at the miracle he’d been permitted to experience that moment. But instead, he swallowed and looked into Laura’s eyes. Their forget-me-not blue warmed him from within. He saw her eyes widen at the words then his mouth descended to hers. He thought the kiss would be brief, a light caress, but, as soon as his lips touched hers and felt their soft texture, it deepened. He felt Laura’s mouth open under his. Instinct born from years of longing guided where his experience lacked. Their first kiss was everything he imagined it to be. 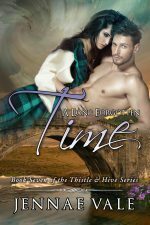 The tentative touch of her tongue on his sent a jolt through him. He mirrored her action and was rewarded by a sigh that redoubled his own pleasure. Eventually, it was he who stopped. He stroked one of Laura’s flushed cheeks; they were, indeed, as hot as their color indicated. But it was the look of surprise on her face that warmed him. No fear, no regret – perhaps no love yet, but he was a patient man. Rescued after two years a concubine in an Ottoman harem, former debutante Laura Cappleman faces a difficult journey back to normal life. As she travels to Palermo aboard Kit Hardacre’s ship, the Calliope, she is deeply traumatised – and pregnant to her kidnapper. Laura rejects the emotional support of her long-time admirer, Calliope First Officer Elias Nash, and her cousin, Sophia, Kit’s wife. She withdraws into herself and her art. Finally, after giving birth, she decides to return to London, hoping to erase the torment of harem life from her mind. Powerful Emir Selim Omar died on the day of Laura’s rescue, but his wickedness lives on in his third wife, Rabia, in whose household Laura was held. The ruthless widow may yet hold onto the favour and power she wielded as mother to Omar’s only male heir. However, as opportunists pick the Emir’s empire apart, the child is killed. When Rabia learns Laura has given birth to a boy, the solution is obvious–the concubine is stolen property and so is the child sired by her late husband. She will take the boy and kill anyone in the way. As Rabia’s assassins close in, Elias – both embraced and rejected by the damaged woman he loves, uncertain she will ever return, and alone in Palermo with a child to whom he has given his name – must take the battle to the enemy. Otherwise, there may be nothing for Laura to come home to. Today on First Kiss Friday I have author Judith Sterling and her first kiss scene from her novel Flight of the Raven. We hope you enjoy this excerpt. Happy reading and enjoy! William stood before the cold hearth with his back to the door. His commanding presence diminished the sweeping arch of the vacant fireplace. The heavy, oak door slammed shut. The stone walls reverberated from the force of it. Emma studied the sheen of his straight, black hair, the proud set of his shoulders, and the wide, leather belt which cinched his ebony tunic at the waist. An eternity might’ve passed while she waited for him to acknowledge her presence. When at last he turned, his dark eyes blazed. He glowered at her in silence. A chill of foreboding ran through her, but she stood her ground. A full minute later, he still hadn’t spoken. Her patience waned. If he expected her to read his mind, he could think again. She swore under her breath. Someone must’ve divulged her plan to stay celibate. If only she’d told him sooner. “I can explain,” she said. His shout echoed off the prison walls. Her stomach churned, but she clamped her lips shut. No, she thought, but you’re a veritable god of arrogance. A lord of intimidation, too. Why else would he summon her to the prison tower? With dispatch, her desire to explain the curse, and its implications to their wedding night, died. For an instant so brief she might’ve imagined it, his expression changed. He looked almost…wounded. “Does the thought of marrying me so disgust you?” he asked. His mouth claimed hers. She wrenched her head to the side, tried to break away. His grip tightened. His lips demanded more. Emma thought fast. She couldn’t match his physical strength. But maybe, if she didn’t resist, didn’t react in any way, he’d release her. She willed herself to relax. Almost at once, his lips slackened. They became softer, gentler. Intrigued, she relaxed further. His lips brushed hers and left a tingling warmth in their wake. She liked the sensation, but the longer he fed it, the more she wanted the full pressure of his mouth. A low sound of protest vibrated deep in her throat. William moaned, and his hot tongue nudged her closed lips. A curious action. Not unpleasant, though, so she opened her mouth. His tongue slipped inside and began a slow, thorough exploration. In response, she flicked her tongue against his. He groaned. The sound was raw, exciting. His hands burned a path from her arms down to her hips. His tongue darted deeper, faster. Her mouth tingled. Heat tantalized her belly. Never had she felt so alive. 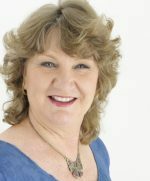 Judith Sterling’s love of history and passion for the paranormal infuse everything she writes. 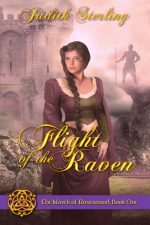 Flight of the Raven and Soul of the Wolf are part of her medieval romance series, The Novels of Ravenwood. The Cauldron Stirred is the first book in her young adult paranormal series, Guardians of Erin. Written under Judith Marshall, her nonfiction books—My Conversations with Angels and Past Lives, Present Stories—have been translated into multiple languages. She has an MA in linguistics and a BA in history, with a minor in British Studies. Born in that sauna called Florida, she craved cooler climes, and once the travel bug bit, she lived in England, Scotland, Sweden, Wisconsin, Virginia, and on the island of Nantucket. She currently lives in Salem, Massachusetts with her husband and their identical twin sons. Medieval Monday with Bambi Lynn and a Giveaway! It’s the fourth week in our Medieval Monday First Encounter snippets and giveaway. 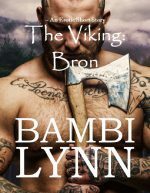 Please welcome my guest, Bambi Lynn, and her snippet from her novel The Viking ~ Bron. Don’t forget to leave a comment for Ruth to be in the running for our giveaway. Winner’s will be announced after the conclusion of week 14. Happy reading and enjoy! Dark hair framed a face that was swollen and tear-streaked. Even in the gloaming, he could see the redness of her cheeks. She was a pretty little thing. Skin as smooth as the waters of a still pond, lips full and lush, a mouth made for kissing and—other things. Her eyes widened when she caught sight of him, and she sucked in a gasp. Her bottom lip trembled. Her reaction did not surprise him. Women had reacted similarly his whole life. Follow along next week at Elisabeth Hobbes’s blog. Be sure to comment for a chance to win an e-copy of Bron. You can find my snippet on For All of Ever: The Knights of Berwyck, A Quest Through Time Novel (Book One) for this week on Bambi’s blog here. Welcome to a new theme for Medieval Monday. For the next 14 weeks we’ll be doing snippets of our books about our hero and heroines first encounters. If you comment on any of the author’s threads, you will be in the running for a giveaway of all the ebook’s in this rounds theme. 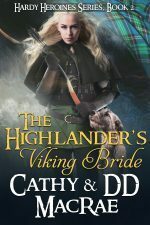 With that being said, I’d like to welcome Cathy & DD MacRae and an excerpt from their novel, The Highlander’s Viking Bride. Be sure to comment for your chance to win. Excerpt: The Sinclair’s voice boomed from the high table. “Then let us toast to new beginnings,” Sinclair offered as he raised his quaich high. Around the tables, the others followed their laird’s example. So far, their welcome was more than Calder could have hoped for. A prickling sensation down his spine cautioned him something was afoot. 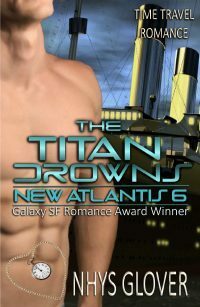 You can find Cathy’s next snippet next Monday on Barbara Bettis’ blog here. You can find my post this week from For All of Ever: The Knights of Berwyck, A Quest Through Time Novel (Book One) on Cathy’s blog here. Thanks to all those who leave a comment and good luck for the giveaway!